Recent approaches in human intelligence have provided us with a broader understanding about its multiplicity and its dynamic nature. The human capacity to imagine beyond the existing has led to the creation of utopias as a way to fantasize about future societies and future cities. The current article explores how the concept of human intelligence is reflected in urban utopias. More specifically, it focuses on two current urban utopias, which are the predominant urban visions for the digital era: Smart and Cognitive cities. The vision of smart cities, grounded in the intensive use of information and communication technologies (ICT) for the sustainable development of cities, gained a lot of popularity and a wide range of smart city initiatives have been implemented across the world. Apart from the criticism for the technological determinism of smart cities and for endorsing a corporate vision of cities, it is argued that the dominant approach of smart cities consider intelligence as a mainly technological function. 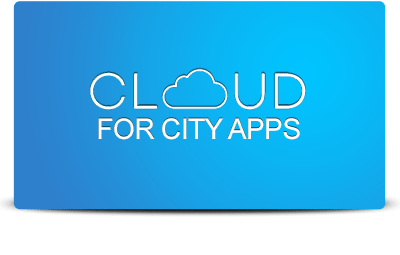 Based on advances in cognitive computing, cognitive cities expand the concept of smart cities through the introduction of cognition and learning. 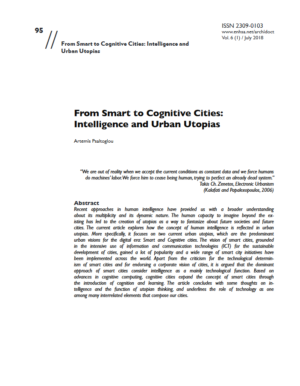 The article concludes with some thoughts on intelligence and the function of utopian thinking, and underlines the role of technology as one among many interrelated elements that compose our cities. The European Network of Heads of Schools of Architecture-ENHSA, an EU funded Network in the framework of the Lifelong Learning Programme has initiated the Archidoct e-journal, linked to and complementary with the ENHSA Observatory (EODRA). Archidoct is a peer-reviewed e-journal aiming at fostering, enhancing and promoting doctoral research in architecture. Find the whole issue here.